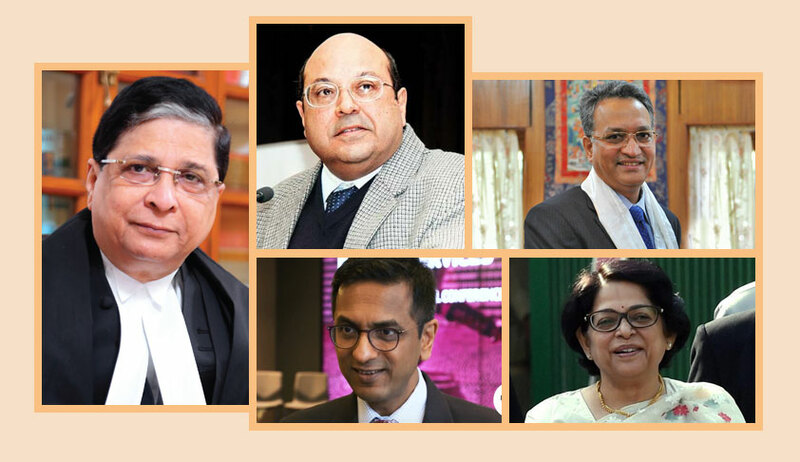 The Supreme Court has announced the constitution of new Constitution Bench consisting of Chief Justice Dipak Misra, Justice A.M Khanwilkar, Justice D Y Chandrachud, Justice R F Nariman and Justice Indu Malhotra. The composition of the earlier Constitution Bench was Chief Justice Dipak Misra, Justice A. K Sikri, Justice A.M Khanwilkar, Justice D Y Chandrachud and Justice Ashok Bhushan. From July 10 onwards, the new Constitution Bench will commence hearing on several significant matters referred to it. The matters include petitions seeking de-decriminalization of homosexuality, striking down of penal provisions against adultery, entry of women in Sabarimala, and disqualification of legislators on filing of charge-sheet in criminal offences. The new composition is notable due to the inclusion of recently appointed Justice Indu Malhotra, whose presence could bring in a material perspective while the bench considers issues relating to gender equality. The bench headed by the Chief Justice, while referring the matter to the constitution bench, noted that Section 377 IPC, in so far as it destroys individual choice and sexual orientation, cannot be regarded as a reasonable restriction on the exercise of one’s fundamental rights. It had also observed that the individual autonomy and also individual orientation cannot be atrophied unless the restriction is regarded as reasonable to yield to the morality of the Constitution. The Constitution bench will look into whether the earlier judgments, which had upheld the IPC provisions penalising adultery, are to be reconsidered, regard being had to the social progression, perceptual shift, gender equality and gender sensitivity. In Sowmithri Vishnu case, a three-judge bench headed by then Chief Justice YV Chandrachud had held that no constitutional provision is infringed, in defining the offence of adultery so as to restrict the class of offenders to men. Three decades later, his son, who is now a Supreme Court judge, Justice DY Chandrachud opined during the admission of the case that the wife cannot be treated as a commodity by leaving her at the discretion of her husband to give consent to the act. Observing that these judgments require reconsideration, the bench headed by CJI observed that the provision seems quite archaic and especially, when there is a societal progress. The question ‘whether a legislator facing criminal trial should be disqualified at the very stage of framing of charges against him by the trial court’ will be answered by the constitution bench. The Centre placed reliance on a constitutional bench judgment and submitted before the court that it conclusively answers the question referred to three-judge bench. The bench rejected the contention that this answers the reference, and later it was referred to the constitution bench.